Chris Warner is a composer, sound designer, arranger and orchestrator who is passionate about telling stories through the medium of music and sound. Chris Warner is a composer, sound designer, arranger and orchestrator who is passionate about telling stories through the medium of music and sound. He is equally at home working in the theatre as he is in the recording studio, from small scale rural touring theatre projects and educational media work to major TV series and large scale theatrical productions. His own particular area of interest as an artist concerns examining where technology and the arts intersect, and especially the integration live coding and other software applications into musical and dramatic works. As a composer and sound designer for theatre, Chris has created original scores and sound designs for over 20 theatre productions and UK Commercial tours, working at major national theatres such as the RSC, the Lyric Belfast, and on groundbreaking productions such as The Boat Factory which enjoyed sell out tours around the UK, Europe and Off-Broadway in New York. As an orchestrator and arranger, Chris has worked across the fields of theatre, film and television. In addition to arranging and scoring all his own compositions, he worked on the orchestrations and score preparations for the 2018 BBC1 Drama McMafia, he has worked as musical arranger and orchestrator at the Royal Shakespeare Company, and on albums such as A Portrait of John Doe (Mercury XV Records) by classical-electronica artists Tom Hodge and Floex, for which Chris also performed in a live stage show with the Prague Radio Symphony Orchestra. Chris has also worked as orchestrator on film soundtracks (including the award-winning Common People), major commercials and promo videos (Carolina Herrera S/S 13 runway show in New York) and even a full length orchestral ballet (Waiting Room, Thüringen Staatsballet in Germany) for which he did additional synth programming. He created all the rock band arrangements for the Children's BAFTA nominated BBC Make A Musical. 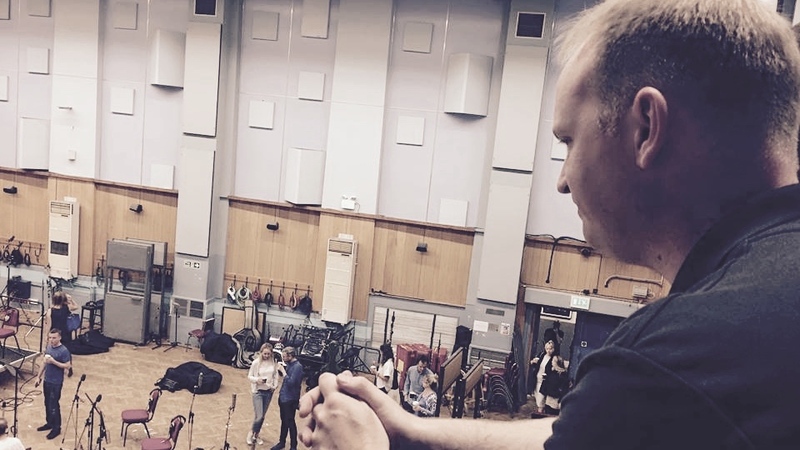 Chris has also composed incidental music and themes for a number of BBC Radio features and documentaries, including the theme for Radio 2's A History of British Comedy with David Mitchell. Chris has also composed music for the concert stage including a number of choral pieces and arrangements. Highlights include a new commission for the award winning vocal trio Juice Vocal Ensemble (scored for 3 voices and tuned bottles), soon to be featured on their latest album 'Snow Queens' which will be released in Autumn 2018. Having composed the original soundtrack and created the sound design for the Audible release of the acclaimed new children's book Gaspard The Fox, written by the BBC presenter Zeb Soanes (Radio 4, BBC Proms, BBC4) and James Mayhew (creator of the much-loved Ella Bella Ballerina series and many other books, including The Knight Who Took All Day, Koshka’s Tales, Miranda the Explorer and Boy), Chris is working on a new version for live orchestra to be performed later in the year.